For adventure travelers and outdoor enthusiasts, having clean drinking water on your escapade is essential. Sure, you could bring a few plastic water bottles, or even one larger, reusable bottle, but what do you do when you're in the middle of the wilderness with a bunch of empty plastic bottles? What about when your one reusable bottle runs out? We're living in the 21st century. Sometimes we need a break from the all-consuming technology in this day and age, and enjoying the outdoors doesn't mean we have to live in the past. 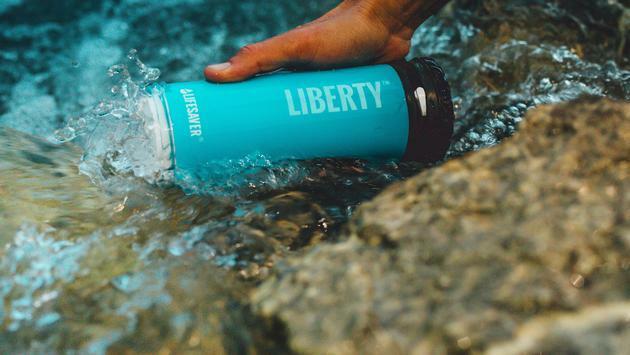 Thanks to the folks at LifeSaver, there's a new way to drink clean water when none is available to you—and it's called the Liberty™ Bottle. Following the Indian Ocean Tsunami in 2004 and Hurricane Katrina in 2005, British inventor Michael Pritchard made it his mission to create a portable water filtration device capable of providing safe drinking water. By 2007, Pritchard created the world's first and only all-in-one portable water purifier, bottle and inline pump. By 2010, it was implemented in the field by the British Army. That brings us to present day 2019, where Pritchard's bottle is providing clean drinking water to travelers all around the world. The bottle itself is extremely easy to use. After a 10-minute priming process, which you'll need clean water for, simply fill the bottle with water, pump it three times and flip the switch to start the flow of water. The water flows quickly, so there's no need to apply any pressure or suction. Sounds like a standard filtered water bottle, right? Wrong. What makes the Liberty Bottle stand out against the pack is not only the inline pump and lightweight versatility, but how much biological impurities it filters, along with how it can intake water. The bottle removes 99.999 percent of viruses, 99.9999 percent of bacteria and 99.99 percent of cysts from water, and the included 5-foot Scavenger Hose allows users to siphon water directly into the bottle from sources such as rivers, lakes or streams. Remove all inconvenience and hassle—or more importantly, biological impurities—on your next outdoor adventure with this essential survival tool. 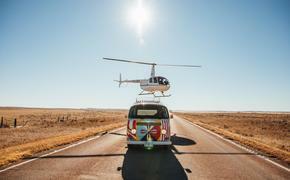 This is what the 21st century of adventure gear looks like. —Removes 99.999 percent of viruses; 99.999 percent of bacteria; and 99.99 percent of cysts. The Lifesaver® Liberty™ Bottle can be purchased online for $99.99. Be sure to check out the video overview below of how it works and how to use it. Introducing the new LifeSaver® Liberty™, the worlds' first water filter bottle and inline pump filter combined.